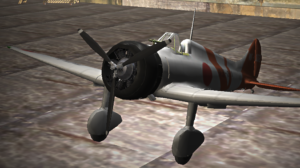 The Mitsubishi A5M, formal Japanese Navy designation Mitsubishi Navy Type 96 Carrier-based Fighter (九六式艦上戦闘機), experimental Navy designation Mitsubishi Navy Experimental 9-Shi Carrier Fighter, company designation Mitsubishi Ka-14, was a Japanese carrier-based fighter aircraft. It was the world’s first monoplane shipboard fighter to enter service and the direct predecessor of the famous Mitsubishi A6M “Zero”. The Allied reporting name was Claude.